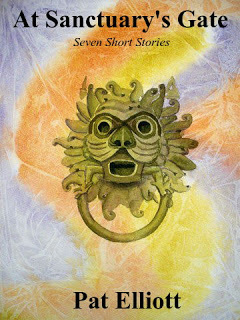 I was recently invited to read a collection of short stories by author Pat Elliott. 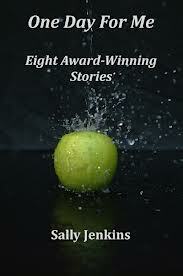 Another blogger that I follow, Sally Jenkins, also has a collection of short stories that I read and reviewed earlier in the year. So I had a gander through my assignments and did find one or two stories that I was proud of. There’s a piece of life writing, too, although I recall that I gave it to my students, when I taught Creative Writing for a couple of terms, and they tore it to shreds, so I’m guessing that needs some work (I wish I’d thought to take notes on their critique!). There’s also an issue with the life writing in that it talks about people I know, and not always in a positive way. I have to decide whether to cut those bits out, hope those people never read my stuff, or rewrite it as fiction. I found a collection of five poems I wrote as my final assignment in my work folder – again life writing, but this time addressed to my father after his death. Does poetry sell? Could I include them in a collection of short stories? Should I scrap the whole idea as too commercial, and stick to novels, or is it good to show your versatility as a writer? Who knows. I believe poetry should ‘happen between tongue and teeth’ [Dunn, CD2], and I write to that end. I like to include alliteration and enjambment to move the poem forward. When I read these poems out loud, some of the enjambment seemed to jar the rhythm. However I decided I liked the effect, as it mimicked the suddenness of death and how it jolts the familiar. For example ‘Like hands they wave goodbye.’ and ‘Already they are dying’ (May, lines 8 and 16). Feedback highlighted some trochees that disturbed the rhythm, so I reworked those lines. It was also suggested that I change the many 11-beat lines, but I like feminine endings [Herbert, ‘Form’, 2006, p.240] and so left these in place. Oh my, I used to know stuff. I had a brain, once, before it turned to fromage frais through lack of sleep. I enjoyed writing poetry, too, yet I never write it now. I doubt I would have the vocabulary for it, as the first thing that disappears when I haven’t slept is my command of the English Language. Still, it was a fun trip through memory lane, and add another line to my very long list of projects to do ‘one day’. *Please don’t take from this that I’m a quitter: I know my forte is full-length novels, but there are bills to pay, so I have tried to find enthusiasm for the more commercial routes. I failed. Sky skipped alongside Claire as they walked from the car to the theatre. Dark clouds gathered in Claire’s mind, the closer they got, despite the clear twilight sky. Claire looked up at the deep blue overhead. Thank God for small mercies. Even though the seats were covered, she knew the stage was in the open, and it wasn’t likely to improve Kim’s mood if she got drenched during the performance. Eyes darting left and right, Claire followed the throng of people, trying not to be irritated by jostling picnic baskets and raucous laughter. The intention had been to bring a picnic and come early with Sky, but Jenny hadn’t returned her until six o’clock, by which time it was too late. As it was, they’d only managed to find a parking space by grace of the Skoda’s narrow width, squeezing in between a Range Rover and a Lexus. The car looked ill at ease, as if intimidated by its neighbours. Claire had given it a pat, and vowed to be either the first or last to leave. Claire’s stomach plummeted to her feet. Crap. It hadn’t occurred to her that she might bump into anyone she knew, never mind Kim’s husband. She shivered. The word husband raised unwelcome images of the last time she had seen her friend. “I guess so, poppet. We’ll keep an eye out for him.” And duck behind the nearest tree if we see him. They took their seats and Claire arranged a blanket across Sky’s knees. The girl sat wide-eyed in the dark, taking in all the details of the stage beneath them, where painted scenery nestled amid real trees. The performance began and Claire forgot to be anxious, as the unfolding story pulled her in. Glancing sideways at Sky, she wondered if her niece would manage to follow all the complicated language or if she would be bored. The girl sat forward in her chair, one hand on her chin, the other cupping her elbow in support. With her long golden hair around her shoulders she wouldn’t have looked out of place flitting between the trees with the Queen of the Fairies. As Act I ended, Claire felt the tension tighten beneath her ribcage. It was a long time since she’d seen or read the play, but she was certain Puck came on in the second act. Her breathing shallow, she turned her face back to the stage in time to see a red-haired puck swing down from a tree to accost a fairy. The voice cut through Claire, and she realised for the first time that she hadn’t been sure Kim would be on the stage. Her friend’s words from what felt like eons ago came back to her. If the director finds out I’m pregnant, he’ll give the role to the understudy. Glad that Michael’s outburst hadn’t cost Kim her job, Claire settled back to enjoy her performance. Their seats were about twenty rows from the stage. Far enough away that Claire felt able to watch without fearing that Kim would see her in the audience. She sensed a movement next to her, and felt Sky turn to face her. The girl’s whisper penetrated the auditorium, and was greeted with chuckles and a few whispered demands for silence. Claire’s heart thumped loudly as she added her request to her niece to be quiet. Returning her attention to the stage, she realised that Kim was looking directly at her, and the expression on her face was unmistakeable. Her eyes burned with a fury that stopped Claire’s heart. Before I decided to try my hand at writing, and discovered an overwhelming need to pen novels, I took various other paths to a creative future. I worked in marketing, designing the horrible colourful mailing packs that arrive on your doormat, which you chuck in the bin. I worked in PR, writing the internal communications magazines and announcements that make you chuckle and shake your head in disbelief, when you get them from head office. I went self-employed and tried to make money selling my abstract paintings. I took a study course with the Open University to improve my photography and tried to make that my next endeavour. I set up a small company, Daisy Chain Marketing, and built websites for small businesses. Nothing really took off, mostly because they all required me to sell myself, and it turned out that was the one thing I was rubbish at. When I found creative writing, and nanowrimo found me, my whole world changed. Writing was what I wanted to do. That self-selling part is still a sticking point, but in terms of time, I only have to worry about it at the end. I can write merrily for nine-months before I have to poke my head out my shell and worry about what to do with my work. Having found writing, I then berated myself for not finding it sooner. All those years, pre-kids, when I was farting around trying to be an artist, a photographer, a marketer, I could have been writing novels. Except it turns out not to have been a waste at all. Because I’m at the sticky end now: I am thinking about selling my first novel. And I am discovering that I can recycle all those old skills I learnt. Skills I didn’t know I had, or took for granted. Need a book cover? Easy. Source an image online, using all the marketing sites from old. Need to put it in the right format? No worries. Use the adobe photoshop software from my photo-editing course. New website? A doddle. All that time building simple websites with Mr Site meant I could knock one up on a Saturday afternoon, while watching the kids build sandcastles in the garden. Need to send out a press release for the forthcoming publication of Pictures of Love? Not a problem. I have press release templates a-plenty. Okay, so nothing looks quite as good as it would if I had paid a professional to do it. My front cover probably screams self-designed/self-published. My website is a bit sparse and basic (I don’t do html). The press release may well get consigned to the waste-paper basket. But it hasn’t cost me anything, and I have had a lot of fun. And who knew those old redundant skills could be recycled so effectively? Another by-product of my sporadic career is subject matter. In Pictures of Love, Helen wants to be a photographer. In The Real Gentleman, my leading lady has a painting exhibition. Sam, from In bonds of love, travels around New Zealand, and a chunk of Finding Lucy is set at the kind of corporate events I used to help organise during my time in Internal Comms. I guess write what you know is easier if what you know and what you’ve done covers a lot of ground. So, there you go, when I thought I was being flaky, I was actually building up a stock of experiences to write about later and a whole bunch of skills to promote it afterwards. 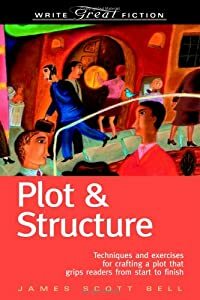 What skills from your former life have you found to be useful during your writing/publishing? P.S. 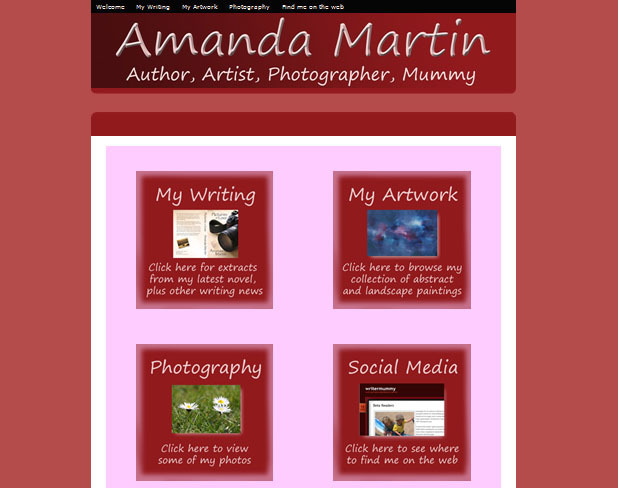 you can find my website at www.amanda-martin.co.uk. If it would be useful I would be happy to write a post about any or all of these ‘skills’, such as designing book covers or building easy websites. Even if the story is burning in you and flowing out faster than you can type, you still might benefit from professional help, particularly when it comes to editing your first draft. If, like me, you need to be led, cajoled or terrified into getting pen to paper there are various course options. Try your local government or college website for free or low-cost Creative Writing courses. I taught a couple of free PCDL (Personal and Community Development Learning) courses at New College Stamford with a lovely group of students, who went on to form a writing group. If you want something more detailed, then a university or distance learning course might be an option. The Open University does a range of Start Writing short courses or they have a nine-month creative writing course (which I highly recommend). Finally there is no substitute for reading as widely and as voraciously as you can. Learning from the people who have already been published is a good step in the right direction to getting there yourself. Don’t limit yourself to your chosen genre – there is much to be learnt from reading outside your comfort zone. Who are your favourite mentors? 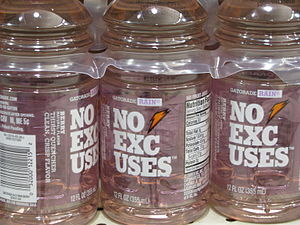 Let’s explore the common excuses (the ones I said most often to myself) and how they can be banished. You’ll hear many suggestions on how to foster a daily writing habit. Anyone offering advice about writing will tell you that you must write every day. And of course, in an ideal child-free life, you could do that. I don’t write every day. I get two days a week to do my writing, when my children go to nursery. I can’t tell you how to fit time into your day, as I have no idea about your schedule. All I’m saying is, if it matters to you, you can find the time. Sacrifice a tea break, an episode of Grey’s Anatomy or your twenty minutes of Facebook, and delve into the murky world of your imagination. This is the excuse that scuppered me for the longest time. I owe it to the OU and their marvellous Creative Writing course that I ever got past it. I realise now that I fell into a very common trap: I was too self-critical. I tried to write whilst listening to the evil genius on my shoulder telling me how rubbish it all was, making me re-craft every line, every word. Get someone you know to write a list of random objects (a telescope, some tarot cards, a box of matches, an amber necklace, a seashell, it can be anything). Now sit and think who might own some or all of the objects and why. Don’t analyse, just write for ten minutes without stopping. Yes, you can. You do it already. Every time you tell someone about your day, relate a funny story you’ve heard or share something your children did this morning, you are writing. When I first started thinking about this blog, I worried that I wasn’t one of those people who just had to write. You know, someone like Virginia Woolf, who wrote diaries, letters, stories because she was compelled to. Then I realised that I have always written; it’s just that much of it was in my head. I would retell my day, sometimes changing bits to make it the day I wished I’d had. I’d often write the conversation between me and my boss where he did appreciate all my hard work. Or, better still, the one where I told him to take a long walk off a short pier. I would construct amazing scenarios where the boy who had just dumped me drove across town and found me, just to tell me he’d made a terrible mistake. Okay so maybe I lived in a self-delusional fantasy world, but it has given me amazing fodder for my fiction. Particularly when I tried to turn my hand to Mills & Boon. That’s for another time. How do you know? Has anyone read it but you? If they have, if (like me) your friends or family suggested that maybe your writing wasn’t the most entertaining they’d ever read, then remember one key thing: you are writing your first draft. I consider my first draft to be the rough pencil sketch that I will paint in with colour later. I hope, of course, that I won’t have to re-write it all, but I know for a fact I’ll have to work hard on some of it to move it from tedious bunkum to something worth reading. Plenty of time to worry about that later. As I’ve said before, you can’t edit a blank page. The important thing to focus on when you start writing is to just write. Go with the flow of the story, follow the twists and turns of the plot, and get to the finish line. When you’ve done that you can polish every sentence until it shines with brilliance. I guarantee your first draft will not be your last. And it won’t all be boring. Yes, bits of it will drag: those are the bits to shine or slash later. But parts of it will shine so bright you’ll wonder who drugged you and added them into your story when you weren’t looking. Those are the morsels that make writing addictive. So, what are you waiting for. Get writing! During the month of November 2011 I wrote 50,000 words of what has become my third novel, Pictures of Love. Depending on how much you have written in the past, that may sound easy or it may sound incredible. 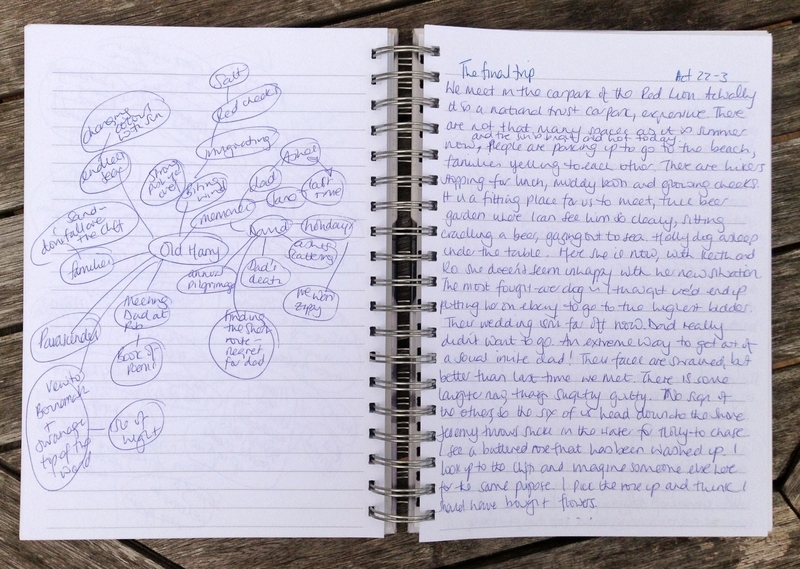 It felt incredible for me, not just because, before 2008, I had never written more than 100 words of a novel, but because I am a stay-at-home mum with two children under three, a mad labradoodle and a husband who travels a lot. Oh and at the time I had a solo exhibition of my artwork at a Gallery in Stamford, and was running the odd live painting demonstration. I’m not one of these super-mummies with a full-time job, immaculate house and beautifully behaved children, who still finds time to teach them sign language and who bakes cookies with them on a Sunday. Well, I do bake with them occasionally, but usually only when we’ve run out of chocolate. If you want to learn how to be a good mummy, you’re on the wrong site. 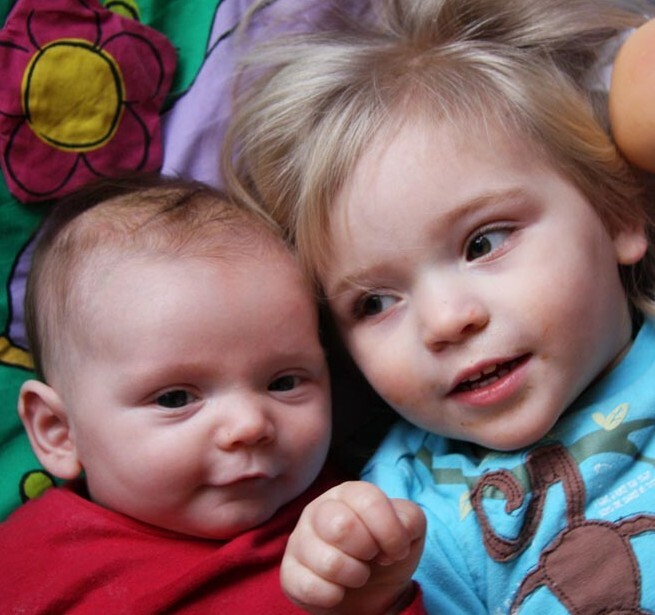 I try (not always successfully) to accept I’ll only ever be good enough at being a parent. However if you want to learn some tips on how to be a writer/mummy then I might just be able to help. I meet many people who “have always wanted to write a book”, whether a novel or a non-fiction work. Since calling myself a ‘writer’ (rather than, as previously, ‘marketing manager’, ‘consultant’, ‘artist’ or ‘full-time-mum’,) I have been amazed how many people have said to me “oh I’ve always wanted to write, but I just can’t because xxxx,’ fill in excuse here. I apologise for being blunt. I know this, because I have used every one of them in the past. And, if I hadn’t signed up for the Open University Creative Writing module when I fell pregnant with my first child, as a way to keep my brain moving, I would probably still be trundling out those same excuses. Firstly, the OU course taught me that you just need to start writing. You can’t edit a blank page. I learnt many different styles – poetry, life writing, fiction – and lots of excellent techniques on how to be a good writer. And it might have remained just another qualification to add to the vast array I’ve amassed (being an academic junkie who has a perverse pleasure in studying), were it not for the second thing that happened. I stumbled across Nanowrimo, a couple of months into the course, and my life changed forever. Literally. That first November, I only started half way through the month, and still wrote 28,000 words of what became my first novel, Finding Lucy. It’s not quite finished, more on that later, but the point is it currently stands at 78,000 words. That’s a novel, even if it doesn’t have an ending yet. And you could do it too. The point is, if I can do it, Queen of Excuses that I am, you can too. I can’t help you sell a £100k three-book deal, because I haven’t done it. What I can do is tell you how, in three years, I have progressed from someone who couldn’t get past the first chapter, to someone who has four novels in various stages of completion, including one that I’m getting ready to sell as an e-book for the kindle. Without even realising it, a dream I had harboured all my life came to fruition. And it all came down to confidence: being told I could be a writer, and then being given the push to go ahead and prove it. So, here are my top tips on how to get started, how to keep going and, most importantly, how to finish your first book.